PLEASE NOTE - vouchers are NOT valid until a date and time for your encounter have been organised with Full Flight management. This ticket covers the cost of a group of up to 6 people - if you have a larger group, please contact us and we can work out a price for you! 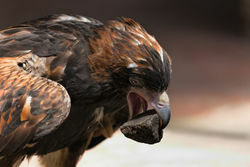 A 3 hour encounter at Full Flight Birds of Prey Centre! Encounter 3 begins with a tour of the Full Flight centre, along with a behind-the-scenes look at how the birds are managed and cared for. Step into exclusive areas to get a glimpse at how our birds are fed, bred, and kept in top condition. Depending on season, you may even get to see some fluffy owl or falcon chicks! 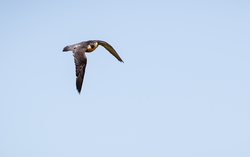 Following the tour is a flight demonstration, where YOU will get the opportunity to participate in a specialised training session with our birds. 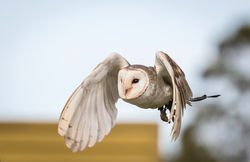 Take part in the action as a variety of fast-flying owls, hawks and falcons fly to you, cutting through the sky with speed and precision, before landing softly on your glove. 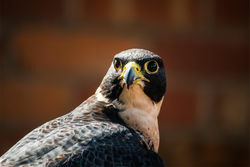 You’ll also get the amazing experience of flying a peregrine falcon – the fastest animal in the world! Watch as he speeds through the sky, coming within a hair’s breadth of onlookers as he hunts his lure. Afterwards, don a thick leather gauntlet as our handsome wedge-tailed eagle flies to you! 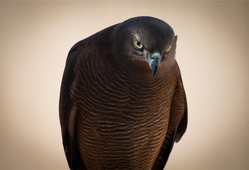 Stroke his sleek feathers and feel the weight of the largest raptor in Australia.